Getting rid of mice begins with a simple choice: whether you want to do things easily or the long-winded way. If you are looking for ways to get rid of the rodents, check out our top tips below. Rodent-proofing your home is a good way to stop mice infestations from occurring or expanding. You can do this by eliminating entry points and easy access. Mice can squeeze through the smallest of openings, so it’s not an easy task. The rule of thumb is if you can fit a normal pencil into an opening or crack, a mouse can fit through, too. Seal off openings in walls and cracks in the foundation and don’t forget spaces where vents and utility pipes are. Caulking and steel wool work well, but do stay away from wood, rubber or plastic that mice can gnaw through. You can also get weather stripping for window and door gaps and remember the sweep on the door should create an effective seal, too. 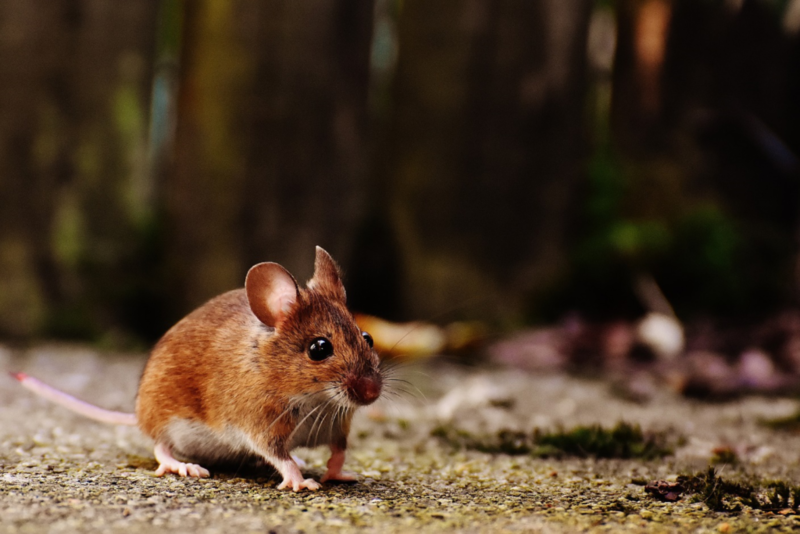 One of the best ways to get rid of an ongoing infestation is with the help of mouse traps. Classic wooden traps work well enough for moderate populations, but many people tend to underestimate these things. It’s not uncommon to lay a few traps for just one mouse, or what you think is a sole mouse. Use lots. Also, make sure you choose the best bait for the traps. You can use whatever food the mice have been getting into in your home, or even mouse-approved favourites like oatmeal, peanut butter, chocolate or dried fruit. Alternatively, Pest Free USA has an electronic mouse repellent that emits electromagnetic pulses to keep them away. It is also a more humane way to get rid of mice. Bait stations are sealed packets that contain pellets or meal. They usually come in cellophane, paper or plastic wrapping which means the mice can easily gnaw through it to get to the fresh bait. The mice feed on the bait and it kills them. While it does prove helpful in getting rid of the mice, these products are better handled by the pest management professionals to ensure your and your family and pet’s safety. Mice can survive on a mere 3 grams of food per day, so even a few crumbs here and there will keep them going. Make sure you vacuum your floors and wipe down counters to get rid of residue, crumbs and access to any food sources. Always store your food in airtight or glass containers and remember to secure your garbage. Remove any debris from your home as it provides hiding places for mice. Keep your garden weeds to a bare minimum and destroy nesting areas when you find them. You could also line your foundation with a strip of heavy gravel to prevent burrowing and nesting. The less clutter and debris around the property, the easier it is to spot and stop rodent activity.